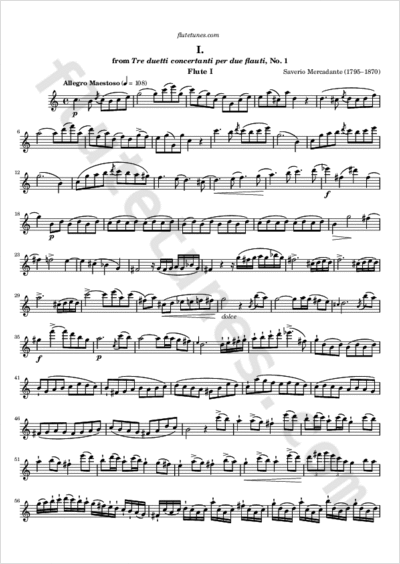 This is the first movement from the first of Tre duetti concertanti per due flauti (“Three concertante duets for two flutes”) by Italian composer Saverio Mercadante. It was first published around 1818. The word concertante denotes a piece of music containing one or more solo parts, typically of less prominence than in a classical concerto. Many thanks to Lutz Kutscher for contributing this piece!